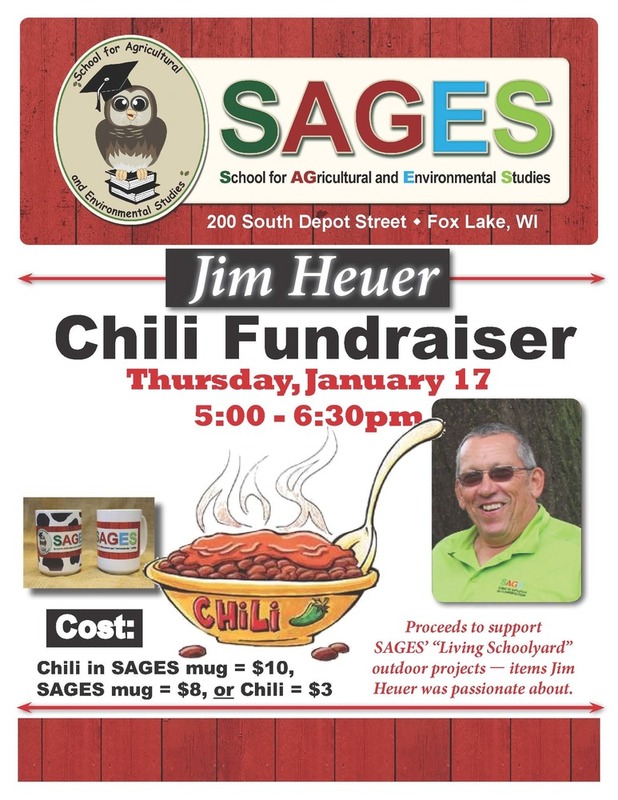 SAGES to Host "Jim Heuer Chili Fundraiser"
On Thursday, January 17, SAGES will host our "Jim Heuer Chili Fundraiser" from 5:00 - 6:30 pm. Open to the public: Everyone Welcome! Jim Heuer was a local farmer, SAGES’ Governance Board Member, and strong supporter of our school. We held our first “Chili Fundraiser” in his memory. Proceeds from this fundraiser will be used for SAGES’ “Living Schoolyard” outdoor projects.